The Museum of Modern Art will be hosting its first solo show of Yoko Ono’s work, running from May 17th to September 7th 2015. For more details, click here. 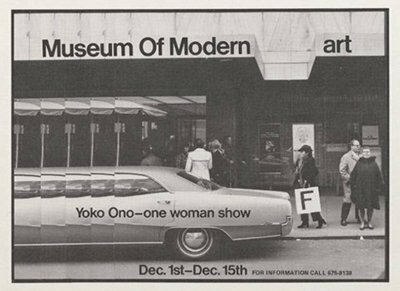 ‘One Woman Show’ will focus on Yoko Ono’s work between 1960 and 1971, culminating in her unofficial MoMA debut. In 1971, Yoko created a one-woman show called ‘Museum of Modern [F]art’, in which she released flies and invited visitors to participate by tracking them across the city. This piece (pictured left) and many more are explored in Yoko Ono’s signed limited edition, YOKO ONO INFINITE UNIVERSE AT DAWN. 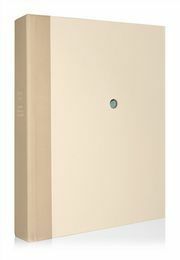 Visit www.YokoBook.com to find out more.